During a ceremony held at the presidential palace the other day to appreciate special unit forces of the army who participated in a recent operation freeing 38 people from a Taliban prison in southern Ghazni province, President Mohammad Ashraf Ghani said he would not accept a temporary peace, challenging the insurgents to a face-to-face fight with the Afghan National Defense and Security Forces (ANDSF). The president went on saying that peace which could not recognize the important role of the Afghan security and defense forces was not acceptable, adding no Afghan security personnel fought for salary or privileges but for the country, the system and the people. President Ghani’s remarks had been referring to a video issued by a senior Taliban member, and former head of the Qatar office, Sher Mohammad Abbas Stanikzai. In the video, Stanikzai said once the US forces have withdrawn from Afghanistan, there would be no need for an army in the country. Indeed, Afghans are proud of their ANDSF heroism and our brave Afghan National Defense and Security Forces, being the real and strong protector of the country, have been chasing terrorists across the country and rendering highest number of sacrifices in war on terror. They are fighting terrorism not only for peace and stability in Afghanistan, but on behalf of the whole humanity across the globe. As peace efforts intensified by the US,and Afghan government, Taliban insurgents have time and again continued their bloodshed campaign and violence against the Afghan people and security forces across the country. They spared no effort to disturb the Afghan people’s peaceful life and replied the Afghans’ call for peace with violence and continued insurgency as well as expressed views which were contrary to the national interest. The heroic counter terrorism struggles of security and defense forces and cracking down the insurgents leave no place for any concern. 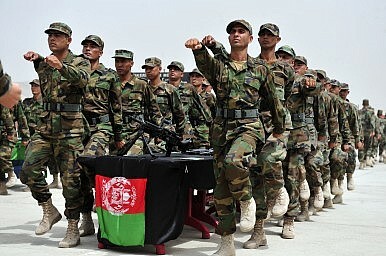 Despite complications of war in Afghanistan and open and secret supports from terrorists in the region, the Afghan security forces have been passing a dangerous year but didn’t let the enemies of the country to achieve their ominous goal in the country. As per president’s remarks, the Afghan soldiers have shown their bravery and gained national honor for the country throughout the history and will do so in the future as well. They must be paid enough heed and the life and dignity of their families should be ensured forever. The ongoing peace efforts shouldn’t be in such a way that harm the achievements made in last 18 years as well as to deteriorate the situation and pave the way for aliens to interfere in domestic affairs of Afghanistan. It is the time that Taliban give up insurgency and avoid unbiased comments against the Afghan people and the government, rather help the peace process andbring about safe and sound environment for the war-suffered nation. There is consensus among Afghan nation for a stable and peaceful country as well as public supports existed for ANDSF heroes. Taliban’s such irresponsible remarks won’t affect the forces’ moral and their precious lives and blood won’t go in vain rather they will ensure peace and stability for the nation, if not now, in the future.